DAMN! Feel the darkness baby. 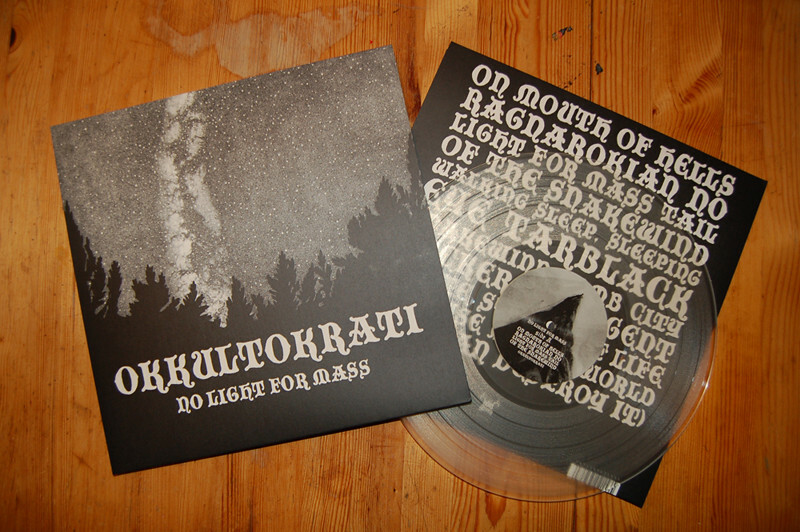 This is the second pressing of the Okkultokrati LP "No Light for Mass" that just came in today. Different variant of the artwork and killer clear vinyl! This will be available at the show in Stockholm at DeadFest this Saturday, as well as the European tour with Kylesa starting next Friday. Also available online from Ormeyngel and other distros in the near future! We'll obviously not be able to ship out orders during the tour, so if you plan on ordering, please do so before February 1st! DeadFest, Stockholm info can be found here. We're playing with Supertouch, BraceWar, Foundation and a bunch of others.